Pour whiskey into a glass with ice. Fill it with Collins mix. 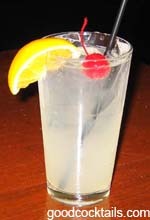 This is also called a John Collins.